Jim Beckford, Fellow of the British Academy, teaches an undergraduate module on Collective Behavior and Social Movements and the doctoral programme core module Research Process and Research Design. His research has focused on the theoretical and empirical aspects of religious organisations, new religious movements, church-state problems, civic religion, religion in prisons and religious controversies in several different countries. 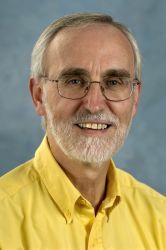 His books on these topics include The Trumpet of Prophecy: A Sociological Analysis of Jehovah's Witnesses (1975), Cult Controversies: The Societal Responses to New Religious Movements (1985), Religion and Advanced Industrial Society (1989), (with S. Gilliatt) Religion in Prison (1998), Social Theory and Religion (2003) and Muslims in Prison: Challenge and Change in Britain and France (with D. Joly and F. Khosrokhavar, 2005). He has also edited New Religious Movements and Rapid Social Change (1986), The Changing Face of Religion (1989 with Thomas Luckmann), Secularization, Rationalism and Sectarianism (1993 with Eileen Barker & Karel Dobbelaere), (with J.T. Richardson) Challenging Religion: Essays in Honour of Eileen Barker (2003), (with John Walliss) Theorising Religion: Classical and Contemporary Debates(2006) and (with N.J. Demerath III) The SAGE Handbook of the Sociology of Religion (2007). He was President of the Association for the Sociology of Religion (1988-89), Vice-President of the International Sociological Association (1994-98) and President of the International Society for the Sociology of Religion for 1999-2003. His teaching and research have taken place at the Universities of Reading, Durham, California at Berkeley, Loyola at Chicago, the Ecole des Hautes Etudes en Sciences Sociales, Paris, and the Ecole Pratique des Hautes Etudes, Paris. His current research deals with the relationship between social theory and religion, the treatment of religious minorities in prison, and 'emergent' faith communities in England.